Click here to see the above super-size! 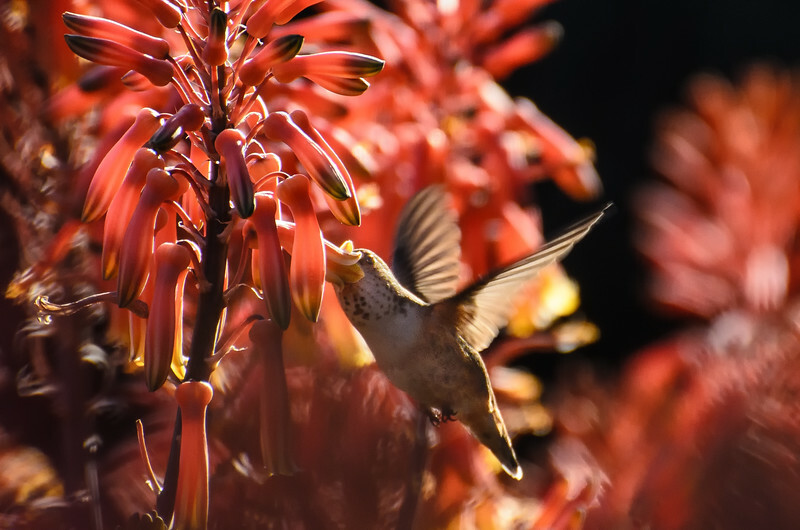 Anna's hummingbird, female. Click here to see the above super-size! Anna's hummingbird, male. I had a good day photo-wise at the Huntington Gardens on Sunday -- the above trio of hummingbird photos was captured within the space of 30 minutes in the desert section. 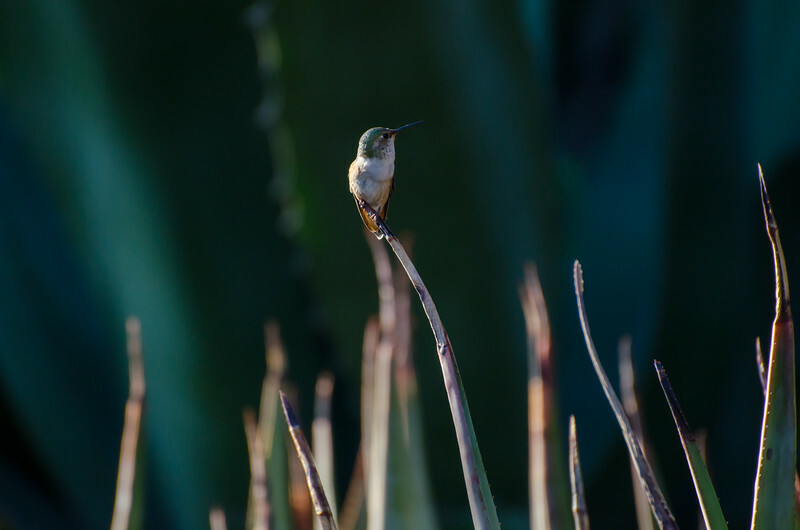 I just stood near some plants that hummers like with a 300mm telephoto lens on my Nikon D5100. 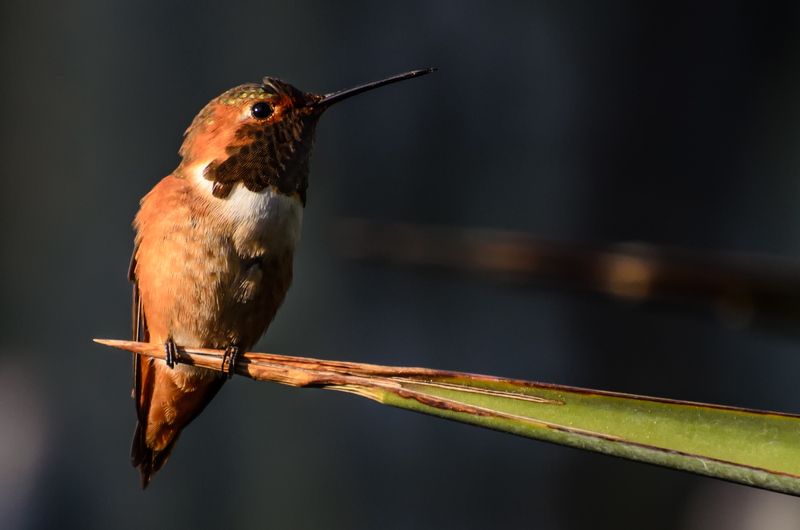 It was really just a matter of waiting for a hummer to land or hover in one place long enough to get the lens to focus and the camera to fire off a few shots. It also helped that it was late afternoon and the light was very nice. I figured one picture might turn out -- and then got total wood when combing through Lightroom last night and finding there were three pretty good ones. The images had some noise, perhaps courtesy of the telephoto lens. After cropping and making a few basic fixes in Lightroom, I used Dfine 2.0 to help reduce the noise. It definitely helped. (Note: Dfine offers a 15-day free trial; so far I've found it does a better job at noise reduction than Lightroom). I'll post some other nice photos from the Huntington as the week goes on. Whoops -- almost forgot the usual caveat: I'm as loose as a common street whore. Prints and merchandise featuring all photos from this blog can be purchased for modest prices from my SmugMug site. If you have any questions about pricing or print sizes, just email me at steve.hymon1@gmail.com and I'll answer promptly. Also, follow me on Twitter. These photos are ©Steve Hymon and may not be used or reproduced elsewhere without my advanced written permission. All rights reserved.